Soft, natural colors, as well as lighting and candid movement, is what I love and work best with. I am passionate about capturing the day’s events on camera, including every natural facial expression and moment, and being able to tell a story from start to end. Every event, every couple, has its own unique energy and personality, which is what I strive to depict in every photo snapped. Erica has always been a photographer at heart, but has been doing it professionally for almost 10 years. After attaining her BA in Music Education, she actually was going to be a music teacher, but she decided to follow her true passion of photography. She began shooting weddings, and the rest is history! Her calm, friendly, quick thinking, passionate nature is something that Brides and Grooms enjoy working with, and it truly shows in her work. My name is Gleb Kuznetsov, I am the owner and lead photographer of GK Studio NY. The first wedding I photographed was in 2013 and I loved it so much that I haven’t stopped since. My goal is to tell your story as it unfolds in an elegant and non-intrusive way while providing you with beautiful and timeless images filled with genuine emotions. The stunning imagery will provide nostalgia and magnificent memories for years and may be passed down for generations. It is a honor to be a part of your special day and I don’t take that responsibility lightly. I am confident that, given the opportunity, I will do what I do best and capture your story. Jose Serrano has over fifteen years of professional photography experience covering Weddings, Bat and Bar Mitzvahs, Family Portraits, Corporate Portraits and much more. JS Visions Photo is a full-service boutique wedding photography studio, and pride ourselves on producing stunning imagery that our clients will be proud to display in their home. We can address not only the portrait aspect but also a journalistic and candid approach, resulting in a combination of beautiful formal and less formal portraits. A positive attitude, as well as our non-intrusive approach, is key factors in our outstanding satisfaction rate. 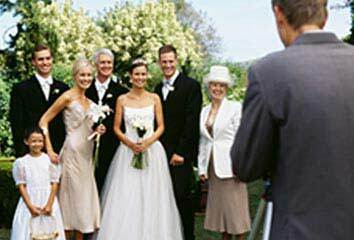 At JS Visions Photo and Video, we believe in making your day an unforgettable event. Every wedding we photograph is treated with utmost care. Our passion and dedication will be reflected in the photographs of your event. Your wedding is a once in a lifetime affair that you will treasure forever. You can trust the trained eye of the skilled team of photographers at Marco Photography to capture every detail of your wedding day. Our professional staff will work hard to assure you top quality and creative photography in a fun and stress-free environment. From the excitement of getting ready to the splendor of the ceremony and on to the fun of the reception, our photographers will be with you every step of the way. With Marco Photography, you will remember your special day forever through the touching and romantic portraits, formal and fun family and bridal party pictures, and exciting candid’s captured throughout your special day. In addition to our wedding packages, Marco Photography offers packages for Sweet 16’s as well as Bar & Bat-Mitzvah’s. Allow our photographers to capture the importance of your child’s special day with exquisite photography, beautiful family shots, and plenty of fun candid photos. Our staff of professional photographers will creatively and tastefully record your child’s special day for a lifetime of lasting memories. Not only do we offer photography packages, Marco Photography and Video is pleased to present to you a complete package of state of art video for your special day. Our videography staff will professionally and discreetly capture all of your special moments. Using the latest in digital video technology, we will provide you with the highest possible quality without the intrusive lighting compared to the more traditional methods of video capturing. All of our editing is performed digitally with unlimited special effects and animation and transferred to DVD with 5.1 surround sound quality. I have photographed weddings all across the States, and beyond. It is of personal importance to me that you, and all of your family and friends walk away from your wedding day with an even better experience because I was there. Joining in the support and celebration while making them and YOU feel comfortable, I work hard to gain your trust and deliver a personalized experience where you are valued and honored. When Im not obsessing over your awesome wedding, I like to spend time around old souls and old things. But mostly, you can find me wandering off the beaten path, somewhere in the world, looking for great light, and even greater coffee. Hi there! We are a boutique Photography and Cinematography company based in New York. Our goal is to create inspiring and emotional cinematic pictures and films for our clients. Quality is our priority and you are the star. Over the years we have worked with incredible people and established great relationships that have sharpen our skills and made our company stronger. What is most crucial to us, is getting to know you and the story of your day. The details help us determine what collection is right for you. Our mission is to ensure that not a moment is missed or memory forgotten.